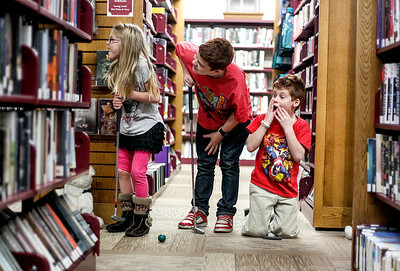 Sarah Nader- snader@shawmedia.com Brendan Busky, 8, of Algonquin watches his sister putt while attending MiniLinks at the Library hosted by the Huntley Area Public Library District Friends Foundation at the Huntley Public Library Friday, November 8, 2013. 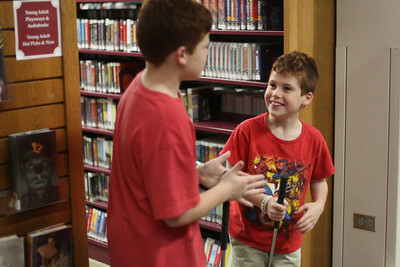 Attendees played a nine-hole round of mini-golf in the library after hours. 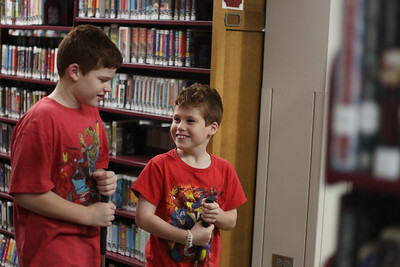 Sarah Nader- snader@shawmedia.com Emily Kellas (left), 6, of Huntley and her brothers, Parker, 12, and Liam, 8, watch as their dad putts while attending MiniLinks at the Library hosted by the Huntley Area Public Library District Friends Foundation at the Huntley Public Library Friday, November 8, 2013. 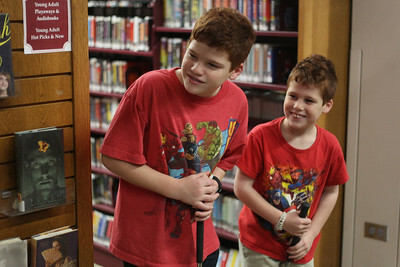 Attendees played a nine-hole round of mini-golf in the library after hours. 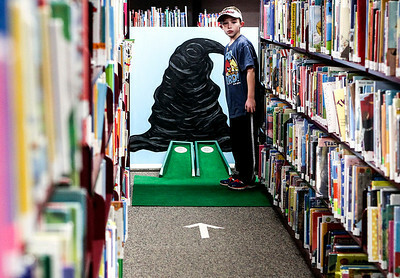 Brendan Busky, 8, of Algonquin watches his sister putt while attending MiniLinks at the Library hosted by the Huntley Area Public Library District Friends Foundation at the Huntley Public Library Friday, November 8, 2013. Attendees played a nine-hole round of mini-golf in the library after hours.